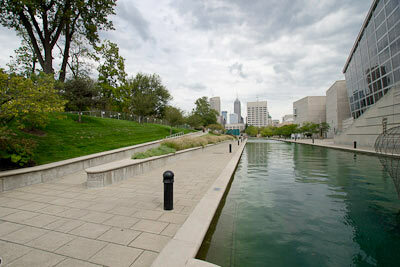 Indianapolis is a city of cultural delights, and there’s no better way to enjoy them than to hop on the Indianapolis Cultural Trail (317-631-6542, www.indyculturaltrail.org). 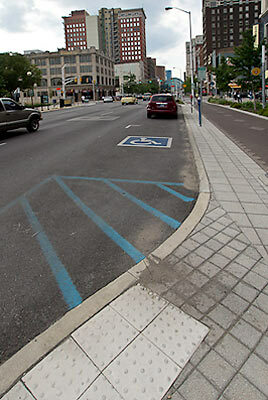 This eight-mile urban pathway features good wheelchair access and passes by a number of museums and public art projects. The wide paved paths, ramp access down to the canal level, curb-cuts and level sidewalks make it a great way for anyone to explore the cultural treasures of the city. Made possible by a large public and private partnership, this multi-use trail also passes by nearly every downtown hotel, so it’s an excellent option for tourists as well as locals. And with over $2 million of public art along the way, there’s certainly plenty to see. 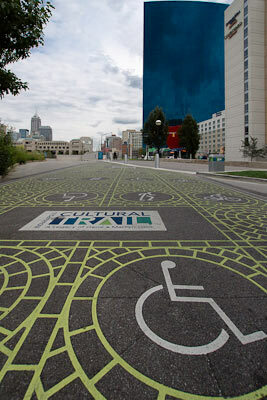 The best place to begin your walk or roll is near the Indiana State Museum and Eiteljorg Museum. 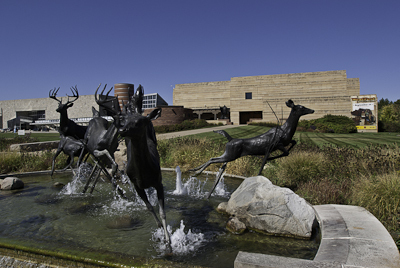 Take some time to discover the public art in the front plaza, then follow the trail as it skirts the Indiana State Museum and meanders along the canal behind it. Although the museums are also worth a visit, it’s best to save an entire day for that. There’s good wheelchair access along the canal section of the trail, with ramp access down to canal level. This section of the trail is also very peaceful, as it’s nicely devoid of city traffic and urban noise. Along the way you’ll pass by the Indiana History Center, before exiting the canal section at Walnut Street. The bridges are well marked with street names, so it’s very easy to navigate. At Walnut Street there’s ramp access back up to street level, where you can walk along the nicely accessible Glick Peace Walk. This stretch of the trail is bordered by greenery and dedicated to people who achieved greatness through peaceful pursuits. There is level access past 12 distinctive gardens which each feature a steel and glass etching of someone who paved the way through peace. It’s quite moving and very nicely done. When you reach the end of the Glick Peace Walk, follow the trail around the American Legion Mall, then take a left on North Street and a right on Alabama Street. This will take you past the bustling City Market, which is filled to the brim with fresh produce. When you hit Washington Street, turn right and follow the trail past Monument Circle. There is good access along the street, as well as in the circle which honors Hoosier veterans. And if all this walking has worked up your appetite, then stop in for a bite at one of the restaurants around the monument. Most of them have level access, and some even offer patio dining. 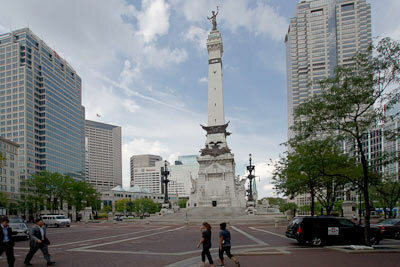 To complete the loop, just continue along Washington Street past the state capitol, back to the Indiana State Museum. One of the great things about the Indianapolis Cultural Trail is that access was not an afterthought. That’s fairly evident as you check out the accessible parking spaces near Washington Street and Virginia Avenue, which are long enough to accommodate rear-entry vehicles. Truly, a lot of thought was put into the access features in this very inclusive trail. And although it may be a bit much to do the whole trail in a single day, the beauty of the Indianapolis Cultural Trail is that you can do as little of it or as much of it as you want. Pick up a trail map from your hotel concierge and chart your own route. Take some time to do a little shopping, visit a museum and stop for a snack along the way. It’s a great way to see the city.